Australian director David MichÃ´d's highly anticipated follow-up to the excellent Animal Kingdom seems to have landed on many a most anticipated list of 2014 and if it hasn't it probably should have. 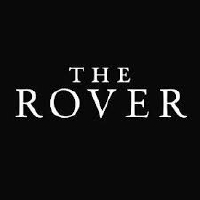 Written by MichÃ´d and Joel Edgerton, best known for his turns in front of the camera but also an accomplished writer and director, The Rover unfolds in the Australian desert in a near future where society appears to have collapsed. Guy Pearce stars as Eric, a man who has abandoned everything and is seemingly content to simply survive until a gang of criminals steal his last possession at which point, he goes after them with the help of Reynolds, a young naÃ¯ve gang member who was injured and left behind to fend for himself. The first trailer for The Rover suggest heavy drama peppered with action and if Animal Kingdom, along with Pearce's previous works, are any indication, this is going to be one brutal ride. No release date yet but expect to see it later this year. Australia, collapsed society, gangs of criminals...Mad Max Redux?